YIKES! ONLINE REGISTRATION HAS CLOSED..BUT FEAR NOT...YOU CAN STILL REGISTER IN PERSON. 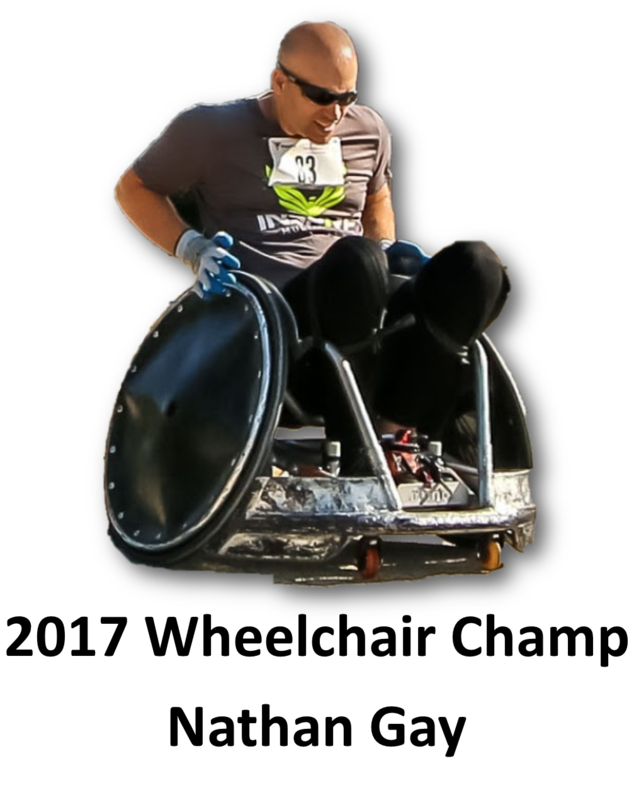 LATE REGISTRATION WILL TAKE PLACE AT EARLY PACKET PICK UP AT RITCHIES SPORTING GOODS, 137 SOUTH AVE IN TALLMADGE FROM 1-3:30PM ON SUNDAY, SEPTEMBER 2ND. CASH OR CHECK ONLY-WE CANNOT PROCESS CREDIT OR DEBIT CARDS. THANK! WE CANNOT GUARANTEE SHIRT AVAILABILTY OR SIZES FOR LATE REGISTRATION. Why Run or Walk in This Event? 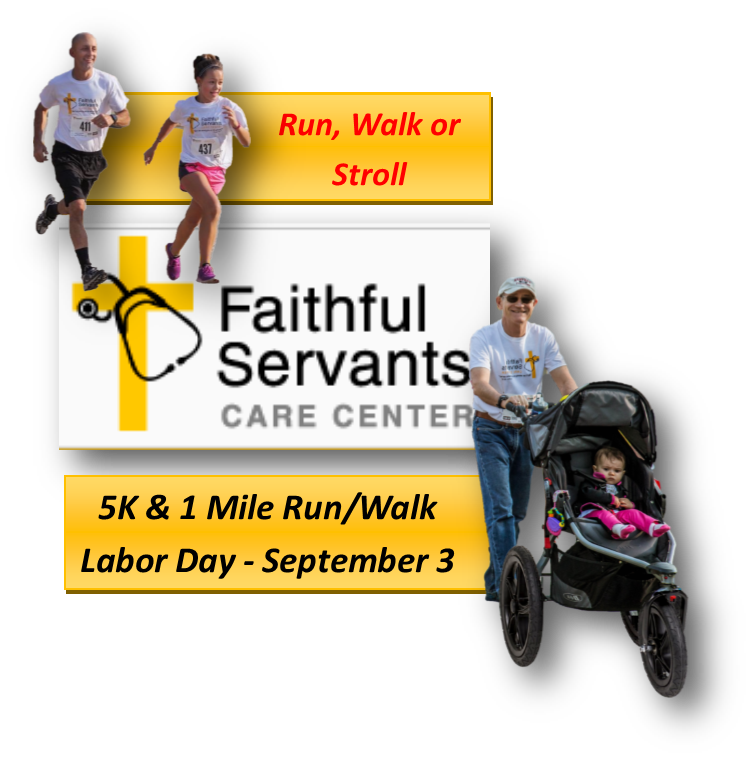 The Faithful Servants 5K Run/Walk & 1 Mile Fun Run/Walk is a fund raising event in which your entry fees will be used to assist individuals and families in our community who do not have access to medical care. This is a family friendly event that will be lot's of fun for all involved. 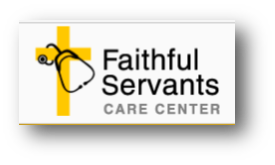 The Faithful Servants Mission Medical Clinic is celebrating it’s 6th Anniversary!! We were founded in 2012 by Doctors Sue and Mark Meyer, who believed that the Church is called by Christ to take care of the sick and the poor. With God’s help and the vision of this amazing couple, many area Churches, hundreds of volunteer Doctors, Nurses and lay people are now Faithfully Serving Christ in His calling to care for those who need compassion and loving care. 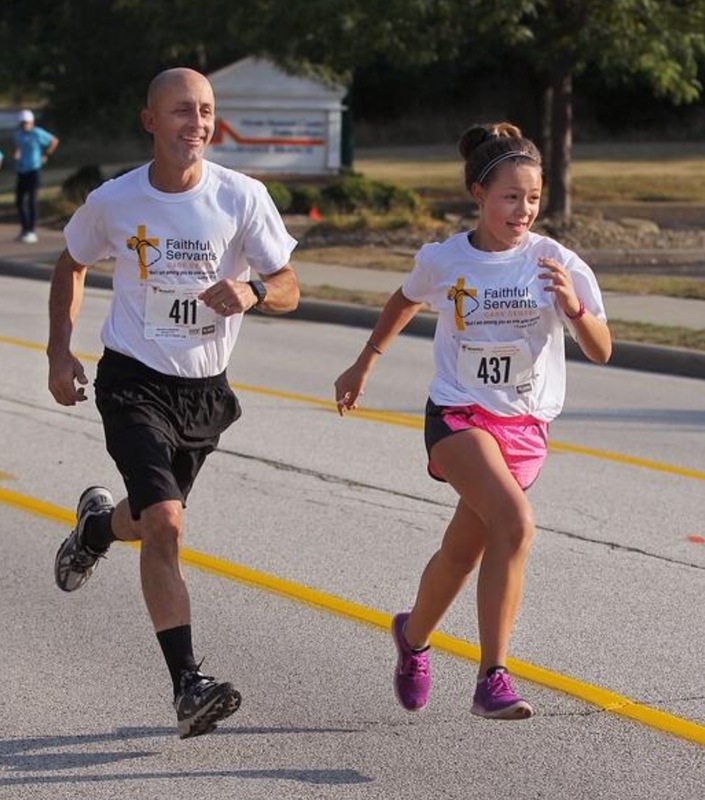 Race Date / Time: Monday, September 3rd – Labor Day 1 Mile Fun/Run Walk will be at 8:45am. The 5K Runners and walkers will start at 9:15am. Location: Starts and finishes at the Faithful Servants Care Center located at 65 Community Road, Tallmadge, OH 44278. We are near the Tallmadge Library and the Tallmadge Community Center. A portion of the event course takes place on the beautiful Summit Metro Parks Bike/Hike Trail. 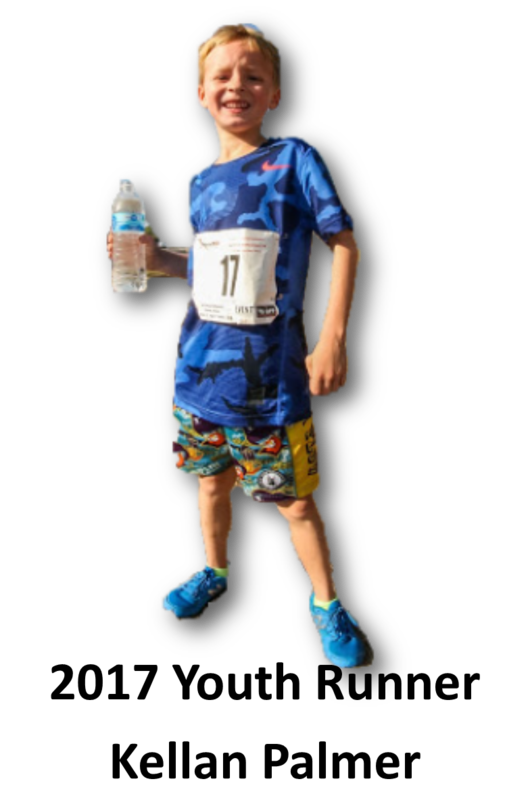 Early Packet Pick Up & Late Registration:Early packet pick up will be on Sunday, September 2nd at Ritchies Sporting Goods 1-3:30pm located at 137 South Avenue in Tallmadge. WIN A GIFT CERTIFICATE!! AS A SPECIAL INVENTIVE TO ATTEND EARLY PACKET PICK UP..We will be conducting a drawing for 2 $50 Ritchies Sporting Goods gift cards. We will announce the winners at the conclusion of the awards ceremony, which will follow the 5K Run/Walk. Thanks To Our Volunteers, Supporters and Sponsors! We are actively seeking sponsorships from any organization or business who would like to partner with us to make this event possible. Contact Barb Warfield at fsccbarb@gmail.com and she will get your group involved. Also volunteers are needed for before, during and after the event with various duties. Would you like to help? Contact David Cooper at DavidCooper@TallmadgeNazarene.org to get involved.